The future shaping portfolio-based competition for creative professionals 30 years of age and under — Young Guns — is open for entries in the 16th event. Young Guns recognizes the vanguard of young creative professionals. Founded in 1996, the competition has grown to become one of the most coveted awards for young creatives around the globe. For many, being named a Young Guns winner is a sure sign of a skyrocketing career. Winners will be honored at the Young Guns 16 Awards ceremony — currently scheduled for 15 November 2018 in New York City and presented with the coveted Young Guns Cube, a trophy that is redesigned each year. Since its inception, Young Guns has evolved almost as much as the creative landscape in which it thrives. Its early years saw young creatives nominated by eclectic and respected juries of industry luminaries, before being debated until only the very best remained. 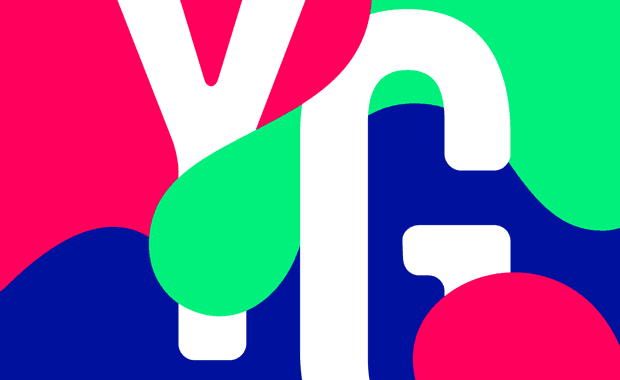 As its prestige grew, Young Guns became a competition where aspiring creatives submitted their portfolios to be judged by a panel of past winners. Beginning with YG8, past Young Guns winners were also tasked with conceiving and designing a brand new Cube trophy each year, making each class of Young Guns honorees truly unique. Were you from the year of the wooden Cubes, where you had to saw your trophy from the rest? Were you the class that received Cubes made of concrete? Or maybe you were among the recipients of Cubes comprised of keepsakes from the careers and desks of all past classes? No matter which year you are honored as a Young Guns winner, you are truly in a class all your own. Young Guns is more than just a collection of winning classes; it now comprises a community network of rebels and prodigies, unsung heroes and rising stars. Over the years, our roster has grown to include some exceptional talent, among them Stefan Sagmeister (YG1), Rei Inamoto (YG4), James Victore (YG1), Jessica Walsh (YG8), Alli Truch (YG2), Julia Hoffman (YG4), Deanne Cheuk (YG4), Jon Contino (YG9), Scott Stowell (YG3), Lindsay Ballant (YG7), and Alex Trochut (YG6). Now under the umbrella of The One Club for Creativity, Young Guns aims to continue the tradition of elevating exceptionally talented young creatives, shining a spotlight on their past and future accomplishments. Submissions completed after 15 June 2018 will be subject to a $50 USD late fee.